There is so much on the internet these days, it's sometimes hard to decipher the real from the fake. 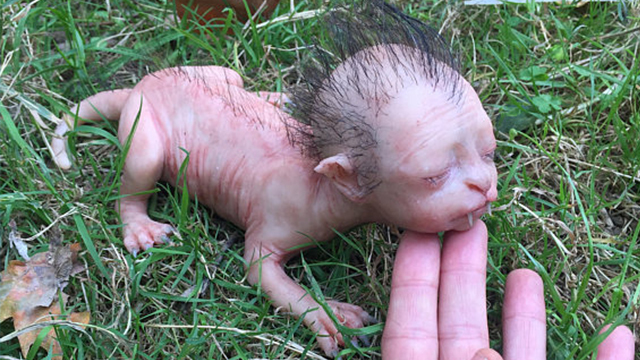 Photos of a baby werewolf circulated on social media, claiming the creature was found in Malaysia. The rumors brought upon some controversial responses but is the human-faced creature actually real? The Bucket List Boys join our RightThisMinute hosts on-set to figure out just what this thing is. While they're at it, they check "host a television show" off their bucket lists! We're glad to help boys!